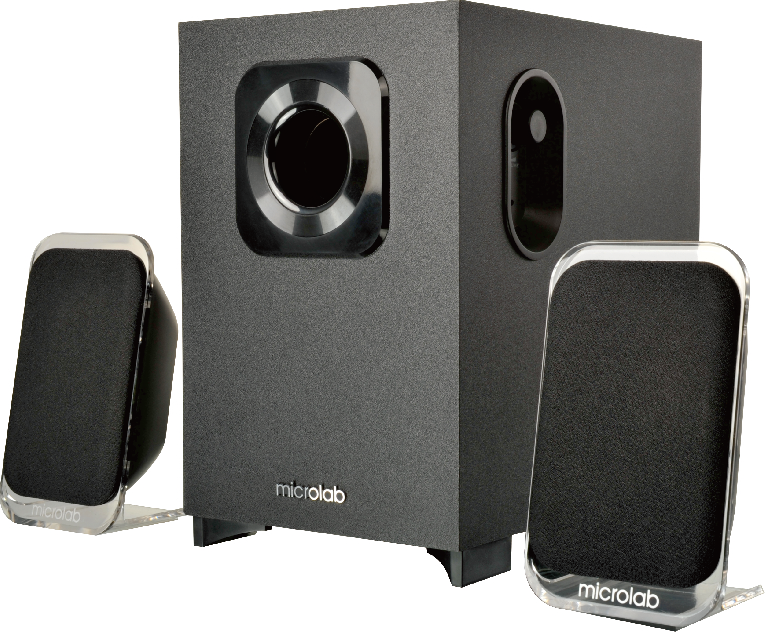 M-113 BT is a stylish and compact 2.1 multimedia speaker with latest Bluetooth® wireless technology. It is designed with simple and fashionable appearance by matching the transparent satellites with the subwoofer. The satellites are angled for optimum listening and supported with firm stands. As a great product for most of your listening needs, this speaker system brings quality wireless music streaming to your ears. Featuring a woofer cabinet for strong bass and compact satellites for clear highs, the system makes it easy for you to enjoy full range audio sound. Designed for mobile and home use, ideal for your multimedia entertainment in your study room, bed room or even kitchen. Bluetooth® wireless technology music streaming. Crystal clear sound and high quality music playback support. Providing strong low frequency performances with high power of 24W. Quality satellites designed with transparent stands and the angled base bring you better enjoyment. Side panel volume control for easy access.